I came across this article where Damien D’Silva (executive chief at Folklore) lamented on the lost art of local home-cooking. 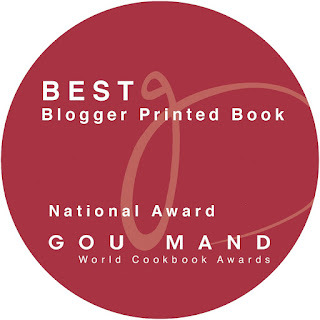 If you have been following my blog and cookbook, you will know that I share the same concerns as well. That very much motivates me to keep alive in ink or screen, some of our cherish family recipes. My wife loves dumplings of all kind. 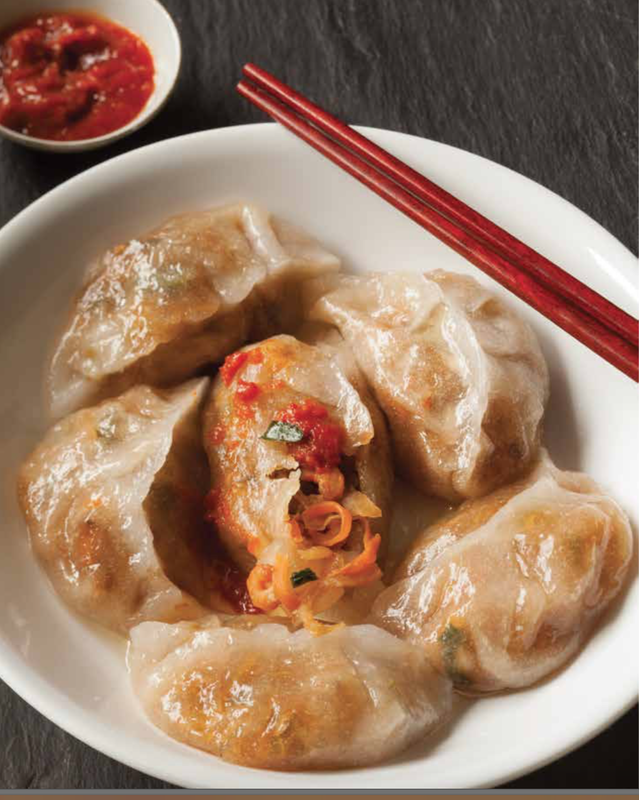 Soon Kueh is one of her favourites, and that is the term used in Singapore for vegetarian dumplings. In Malaysia, we often call it Chai Kueh. Chai Kueh simply means vegetarian dumpling, whereas Soon refers to bamboo but most dumplings sold today do not use bamboo in the filling. "To eat nothing at all is more human than to take a little of what cries out for the appetite of a giant....My vow, therefore, was beautifully simple: If I ate, I would eat without stint; and if I stinted, I would not eat at all." 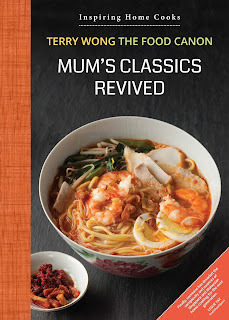 Har Cheh was my Mum’s closest cooking companion, her sous chef if you like. She was very adept at making kuihs and snacks. I was thrilled to be able to get in touch with her again and she visited and made this for us. Some deft handiwork and practice is needed to get the shape right every time but it is not difficult to get it done right. I have already mentioned her in this post. I have to say that I have never eaten Chai Kueh as delicious as hers. Now that I am all grown up, I can eat as many as I one. But then again, maybe not, for health reasons! The filling is very tasty and every ingredient in it is lovingly prepared in the wok. And it looks beautifully translucent too. The turnip should be cut by hand to get an irregular, thick and firm shape. Don’t use a slicer for this. The skin is light and has a nice al dente bite to it. 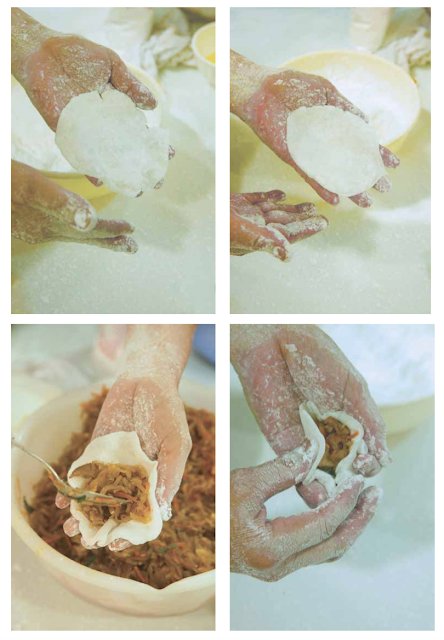 The trick is to use your hands to gently tap and flatten the dough into a round piece it before you add the filling and wrap. As the dough is sticky, you need a lot of tapioca flour to coat it as you flatten it. This needs a lot of practise if you want to have a consistent shape. But it is well worth the effort. This skin is delicious for other types of filling as well. I will say that you only need to eat it with chilli sauce. You should avoid adding the sweet black sauce. Peel the turnip and cut into strips of about 1- 1.2 inch in length. The length does not need to be uniformed. Similarly, cut the carrot into strips. Slice pork into strips as well. Rehydrate the dried shrimps. Chopped up the garlic, Chinese parsley and spring onions. Heat up oil in the wok. Add dried shrimps and fry till aromatic, then add in garlic and fry till slightly golden then add pork to stir fry for about a minute. Add the turnip and salt, sugar and dark sauce and dash of pepper. Stir-fry and stir from time to time till it is limped. Its will take about 30 minutes. Towards the end, add the Chinese Parsley, stir and mix and switch off the fire. Mix the wheat starch, tapioca flour in a bowl and pour in the water. Mix. Then gently boil and stir the mixture till you get a sticky and slightly translucent dough. Switch off the fire and let the dough cool. 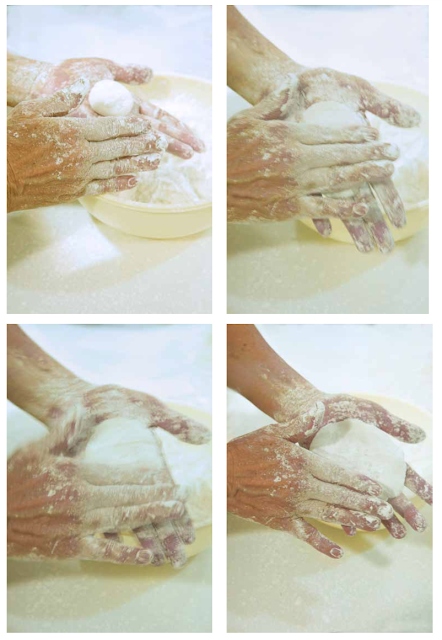 Coat both your palms with the tapioca flour. Pick up a piece of dough of about 20 gems or ball of about an inch in diameter. Hold the pic of dough on one palm and gently tap with the fingers of your other hand till you get a flatten round piece of dough. You will need to dab it constantly what tapioca flour so that it will not stick to your hands. Heap a generous tablespoonful of the filling. Wrap. Oil a tray and place the dumplings on it. Steam it for 7 minutes. The skin will turn translucent when it is cooked. Let it cool down. Then coat it lightly with some oil so that it won’t be sticky. It can now be enjoyed. Chai Kueh keeps very well. It can be refrigerated or frozen and when you steam it briefly, it is as good as new. Undoubtedly, this type of recipes are best taught through live cooking demos or videos. If you want to wrap a Chai Kueh perfectly each time, this is one of the technique-based recipe where practise makes perfect.